Need to get your fly to the bottom? Go with Tungsten beads. Center drilled for any hook use. These come in a 20 pack. 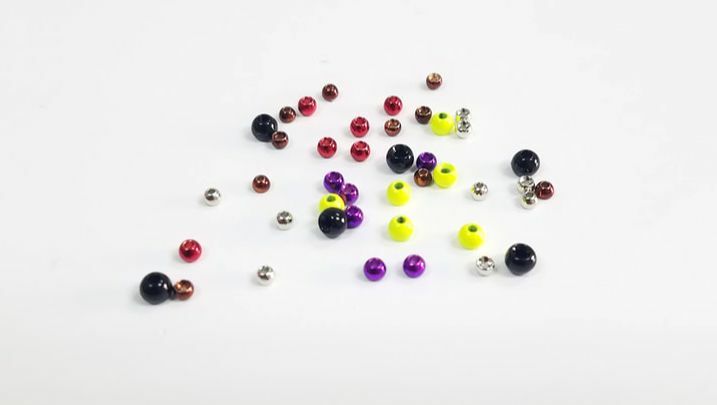 These are tungsten beads that are slotted specifically for jig hooks and down eye hooks. Made to help turn your fly over to prevent snagging on the bottom. 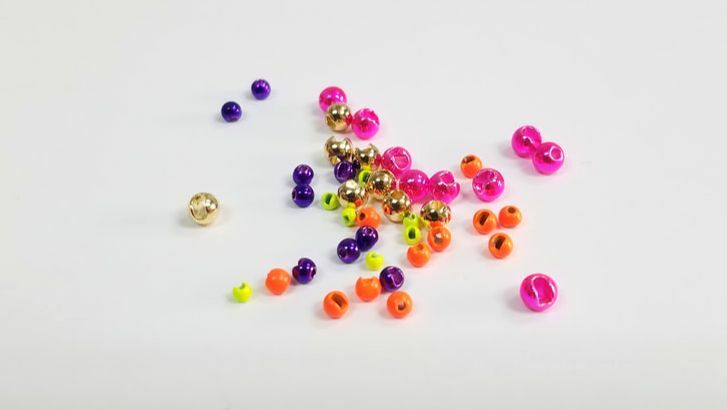 An all new way to use beads, Mix'n Match beads are a half bead that you use to create a two toned beads. 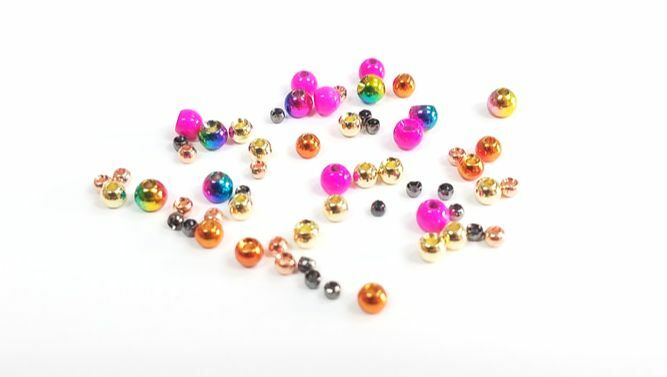 Each half bead has an insert that fits any other half if the same size, just put two of them together and create almost 400 different combinations.